Are you undergoing an effort to cut down water usage in your household while still trying to maintain the beautiful home and lawn you've always dreamed of? It may sound counter-intuitive to some, but a water irrigation system is one of the best ways to save water while giving your grass what it needs to become a healthy bed of bright green blades. When it comes to your home and property, every improvement is an investment into the future. A lawn irrigation system isn't a cost you'll spend for a day's worth of fun; it's an investment in your home that will yield many years of beautiful landscaping when cared for properly. As your lawn begins to respond positively to the flowing fluids, your property value will likely reap some rewards, as well. When winter begins to say goodbye, and spring starts to settle in, you'll already be ready to give your lawn all of the loving care it needs to begin preparing for Arizona's hot summer days. Once your irrigation system is in place, it's there for the long haul, making the transitions from season to season much simpler. Whether you're traveling for work or pleasure, the time is going to come when you have to be away from your home for an extended stay. Under the sweltering summer sun, a lawn that's not attended to won't stand a chance in Arizona. 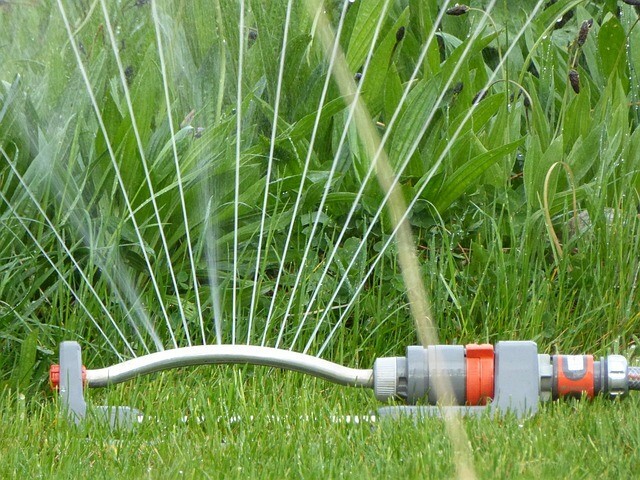 With a lawn irrigation system, however, you can squelch those fears of burnt up blades. Thanks to the help of modern-day technology, you can set timers to take care of the watering for you while you're away, ensuring that your lawn stays hydrated and no extra hands are needed at your home throughout the day. Timers and other technological advances have done amazing things for every industry over the past few years. In terms of lawn irrigation systems, new sprinkler systems are much more efficient than old ones, giving you ample opportunity to save money and conserve water at the same time. Today's sprinkler systems allow you to optimize the time of day and frequency that you water your lawn. When you're able to hit optimal times and avoid excessive loss of hydration due to evaporation, your lawn will require less water and should eventually begin to look even happier and healthier than it did with your manual maintenance. To learn more about how the ways a lawn irrigation system can cut down on your family's water usage, head to our "Watering Arizona Sod" section, and contact our Evergreen Turf team with any questions!